The VRS Sport Group, which has been established three years ago is the first in the history of Hungarian motor sport with a portfolio covering several categories of car racing. The team, thanks to the expertise and contacts that have been gained through the Hungarian and international experts in recent years, offers professional circumstences for racing for beginner and experienced drivers as well. 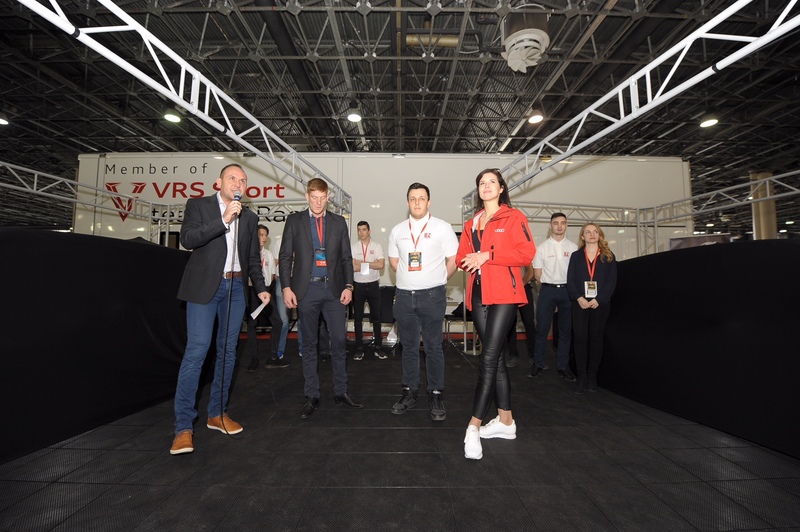 The VRS brand is likely to ring for sports enthusiasts thanks the group’s flagship Team VRS, which manages Hungary’s most successful female racing driver, Vivien Keszthelyi. Team VRS has a unique experience in the field of factory-tied racing. The 17-year-old has been featured in several prestigious international series in recent years, having won the 2016 Hungarian car racing champion title. Since the age of 14 she has been the only Hungarian member of the Audi Sport Racing Academy. With the current expansion, VRS Sport is designed to serve professionals at all levels of the sport, ranging from the basics to the highest categories. The teams belonging to the group are represented at different levels of competition, high quality and comprehensive expertise are guaranteed by the central management of VRS Sport. Taking into account that the entry level for competitors is in most cases the simulator racing, and it’s also an important part of the training of the drivers, VRS is also represented in the world of e-sports. In the tournaments organized by VRS eSport and in the teams featured with the name of the brand, visitors can compare their skills in prize money tournaments. The best ones can even try on the real race track. Whether coming from the online world or without simracing background, VRS Sport – TeamKart team offers the opportunity to prepare for racing and to get know the basics of car racing. Its infrastructural and professional background is provided by Birizdó Kart with the best track and service facilities of the region. To practice the basics and to get the first touring car racing experiences and trophies, one can take part in racing teams run by VRS Sport – Team BZ Racing. The team’s pilots are able to prove their skills in the domestic and international arena behind the wheel of Swift Cup Racers, the brand new Cupra racing car and also an Audi RS3 LMS. There is no end to the opportunities outlined by the group, because they are also offering alternatives to outstanding drivers with a profitable track record and knowledge. VRS Sport is also launching its competitors in the TCR, Audi Sport ABT TT Cup and even in the GT series with the rear-wheel drive car, according to the driver’s skills, knowledge and goals. According to an agreement with ABT, the offical tuning company of Audi, VRS Sport Group is the only formation in the region which can delegate drivers to Audi Sport ABT TT Cup in the future. The uniquely wide range of options offered by VRS Sport is in many aspects niche substitutes for the Hungarian scene. On one hand, it offers a quality and professional alternative to today’s drivers, regardless of the level they are holding, and on the other hand it is the role of a talent management center that, in addition to the race seat, provides professional guidance and knowledgeable career development support for its members. VRS Sport’s drivers may be hoping to compete at the highest level of their knowledge, and if they are sufficiently talented, they can reach the highest levels – the best example for this is, most probably Vivien Keszthelyi, the Hungarian girl forwhom, it seems, there is no such thing like impossible.